Capture all those candid moments that you would otherwise miss! 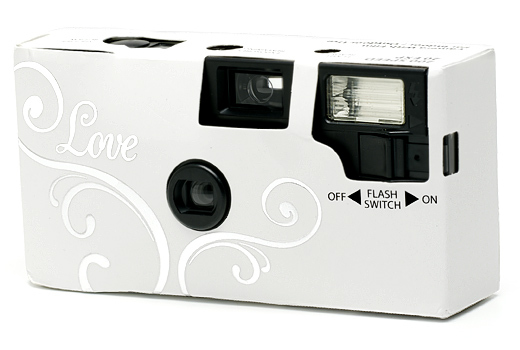 The Love Camera offers a fresh accent for your wedding reception. 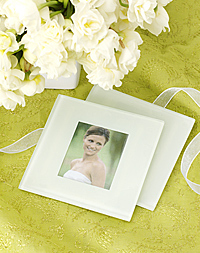 A perfect match for any wedding theme! Our cameras are loaded with 20-exposure quality AGFA 200 ASA film. Camera has point-and-shoot operation and one-touch automatic flash. Keep cameras in cool temperature if storing. Camera has a 6-12 month shelf life from date of purchase. Price does not include film development.These re-conditioned cameras have been restored to like-new working condition and appearance - the interior case has been recycled, the film and the exterior are brand new. You&apos;d never know by looking at them, but in your heart, you&apos;ll know you are doing a great thing for the environment!